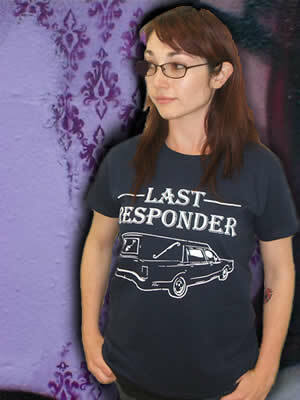 This shirt is alot of fun for all you hearse drivers out there! A play on First Resopnder, Last Responder is sure to get some looks! Shirt is a navy blue short-sleeve. 50/50. Available in ladies size L and XL.